point, one centistoke calibration over the linear flow range of the meter. order to achieve maximum accuracy. 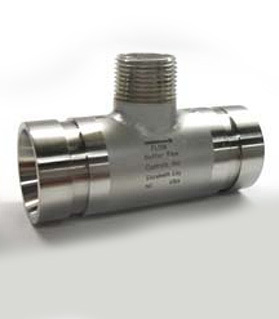 cut to a length appropriate for the up and downstream straight pipe runs. 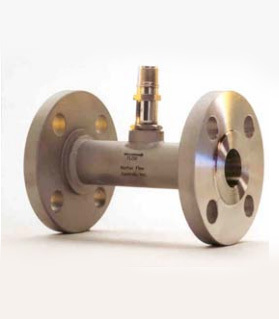 kits to accommodate flanged and NPT meters are available. • Loop or battery powered indicator with data logger. • 20 point linearization option. • Configurable thru the ex-proof enclosure via magnetic pointer. • Dual Set Point Alarm output for rate or total. • Several enclosure options are available including the explosion-proof enclosure (North America, ATEX & IEX). • DC, AC, loop or battery powered indicator. • Alarm output for rate or total. • RS 232 Port for Configuration and Monitoring. 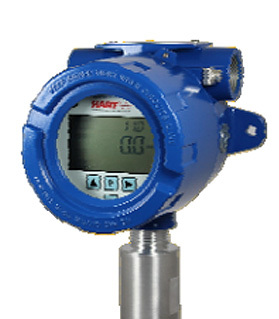 • LCD display for Total, Rate, Temperature, and Pressure. 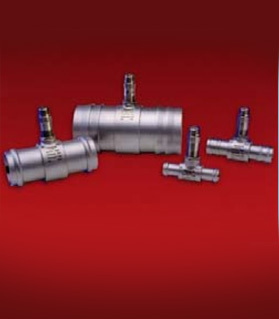 • Temperature, pressure, and compressibility compensation. 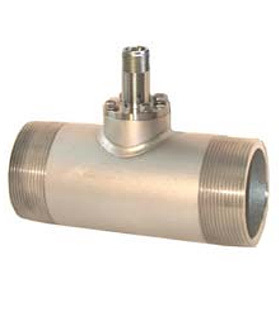 The CAT1 converts a low level, frequency signal from a flowmeter sensor into an analog 4-20mA output. The output is proportional to the flow rate.• Loop powered 4-20mA. 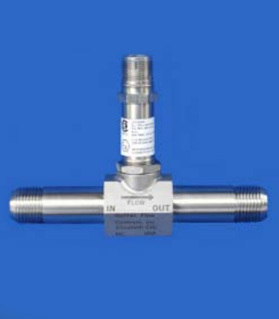 The CAT2 provides a pulse output and an analog signal proportional to the flow rate. The CAT2 can be configured with high and low alarms.• DC or AC powered transmitter. • Pulse and analog output. 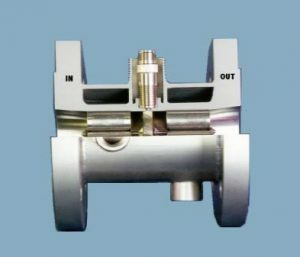 • Optional hi and low alarms. 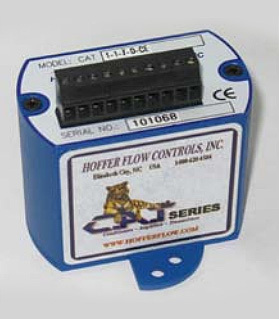 The CAT3 outputs a pulse scaled per unit of flow, and analog signal proportional to flow rate. 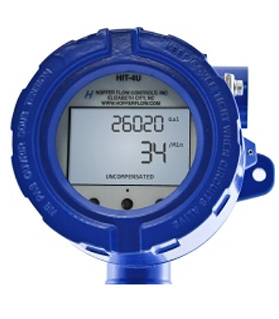 The CAT3 can be configured with high and low alarms.• DC or AC powered.• Pulse and analog output scaled per unit of measure.• Flowmeter linearization. 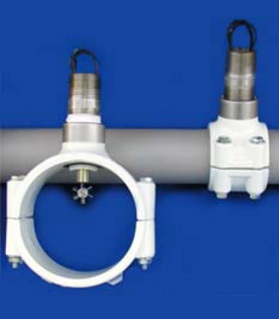 It has been designed to fit a compact “ELBY” explosionproof enclosure. 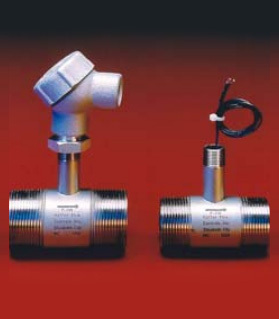 This series is designed for use with the Lo-Co Series low cost flowmeters. • PET-1 0 to 10 VDC analog output. • PET-3 4 to 20 mA analog output 3 wire. • PET-7 4 to 20 mA analog output 2 wire with improved EMI noise immunity. The signal conditioners are built to fit a compact “ELBY” type explosion-proof enclosure. 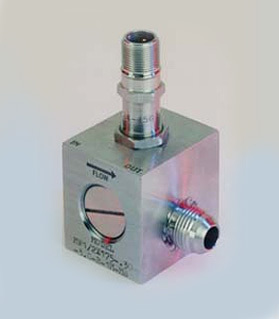 • PET-5 0-10 VDC Square Pulse. The Nova-Flow multi-channel modular flow computer. 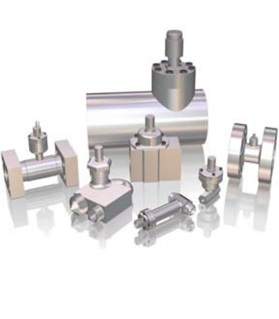 More than 500,000 configurations are possible depending upon the application requirements. 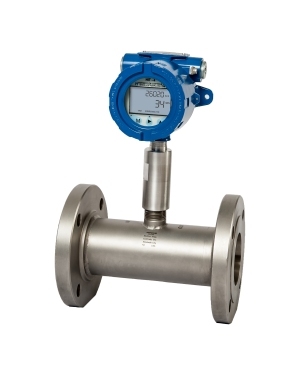 • Up to four flowmeter inputs. 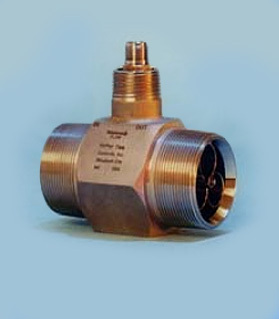 • Two each temperature and pressure inputs. • Two level password protection. • Two Stage Batch Control. 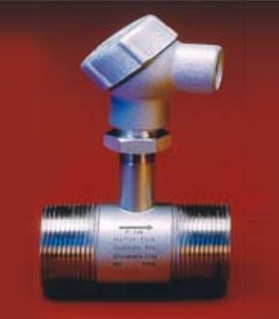 • One each temperature and pressure input. • Local display of flow rate, accumulated total and batch total. • Additional options available, depending on application requirements. 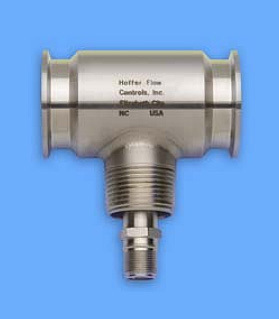 The Model 2000 is a volumetric flow rate indicator/totalizer that provides local display and transmits flow data for control capability. Flow rate and total may be simultaneously displayed on a two line 16 line character alphanumeric display that indicates unit of measure. English and metrics units are available. 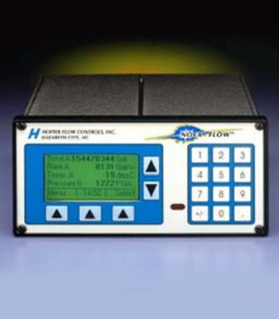 Up to four flowmeter inputs can be handled simultaneously. This unit will accept pulse or analog inputs (4-20mA). 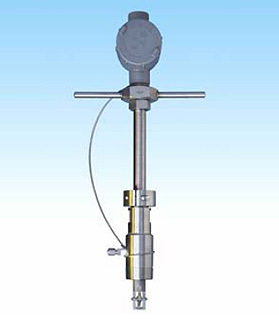 Flowmeter linearization is standard on channel one and improves flowmeter linearity to ±.1% of reading when used with an HO Series flowmeter. 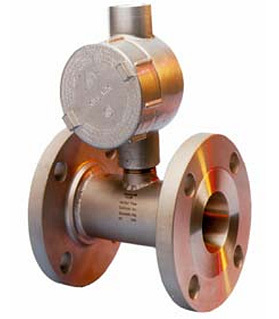 The Model 2005 provides Mass flow measurement via temperature and pressure compensation. 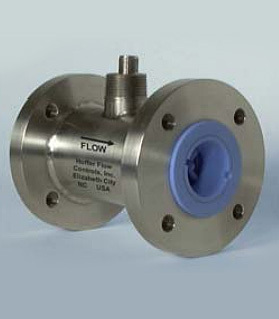 Both flow rate and total may be displayed simultaneously or independently. User may change from mass readings to volumetric readings via the front panel of the unit. Unit is programmable via the front panel. Enclosure options include panel mount, NEMA 4x and explosion-proof. The Model 2005 is a single channel unit. 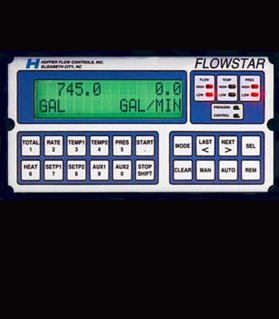 The Model 2007 is a batch controller that provides local display of flow rate, accumulated total and batch total. 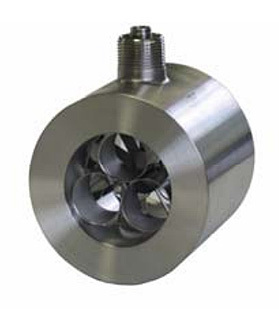 Optional temperature compensation is available for mass flow batching. 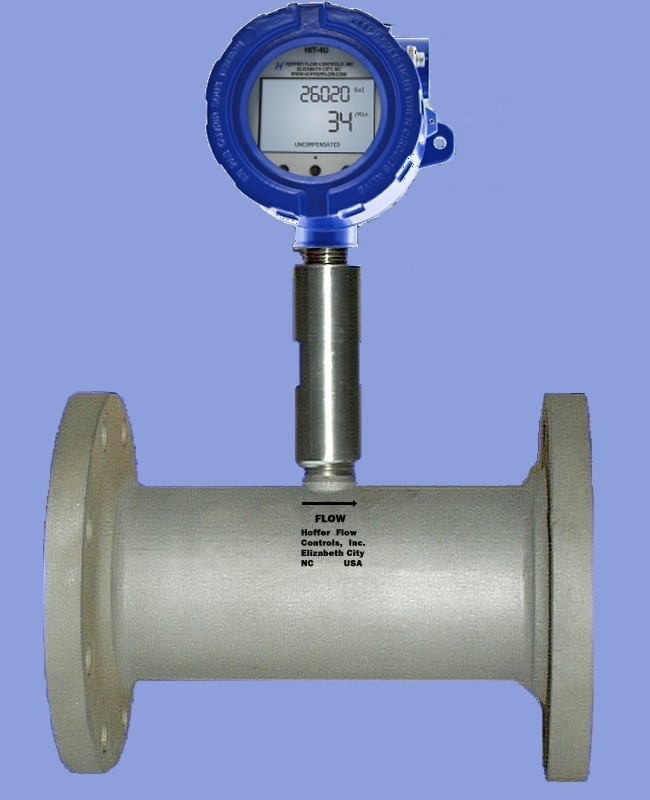 This unit provides for a single flowmeter input with two stage preset capability. This feature allows the user to enter a “prewarn” value. 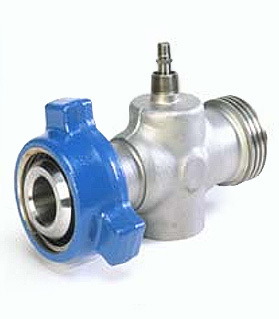 This would be used to gradually close the valve prior to reaching the total preset value. Three analog inputs can support/ display process variables. 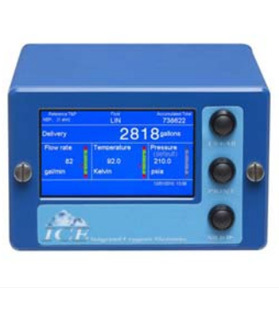 The ICE is Hoffer’s most advanced truck-mounted cryogenic flow metering system. 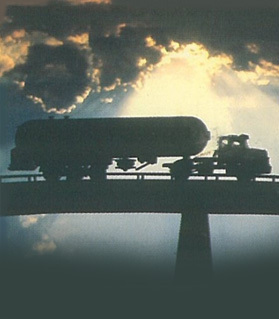 ICE is a microprocessor-based totalizer designed to withstand the rigors and weather conditions imposed on truck-mounted, over-the-road cryogenic systems. Some features include: user friendly software, preventive maintenance notification and system malfunction detection. An optional point-of-sales printed delivery ticket is available as well as a number of software options offering flexibility, customization and future expansion. The full color graphical display and electronic touch screen ensure user-friendly operator interface and provide direct access to all measurement and configuration parameters including total, rate and temperature. Designed in compliance with O.I.M.L.—R81 standard, Handbook 44 and various design approvals. 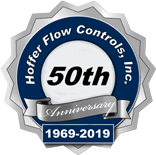 The Hoffer Cryogenic truck-mounted cryogenic flow metering system has been designed to withstand the rigors of over-the-road service and to operate reliably in the accompanying temperature extremes they will see in actual service. 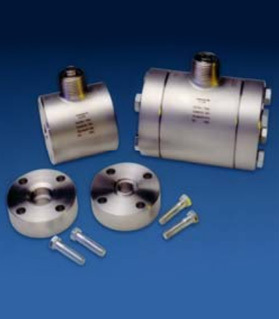 Hoffer Cryogenic systems allows for superior performance and ease of use. The system provides accurate measurement of commonly delivered industrial gases while having printer output capability. The system requires minimal operator involvement. 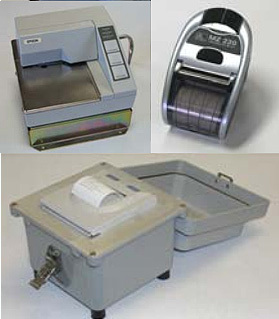 The cryogenic system provides advanced reporting and communication capabilities including reporting for delivery, trip and maintenance via Hoffer printers or computer communication. Designed to comply with O.I.M.L.—R81 standard, Handbook 44 and various design approvals. Hoffer offers a variety of cryogenic printers available for your Hoffer cryogenic system depending on your needs and specifications. Whether you need your printer shock mounted, water-proof or portable and lightweight, we have an option for you. Our P9 printer even offers printer capabilities in a wireless Bluetooth® design.